Moss green bottom and rails, clear deck inlay in a gloss & polish finish. Black full body pinlines around the deck inlay, black lo-profile Takayama logos. 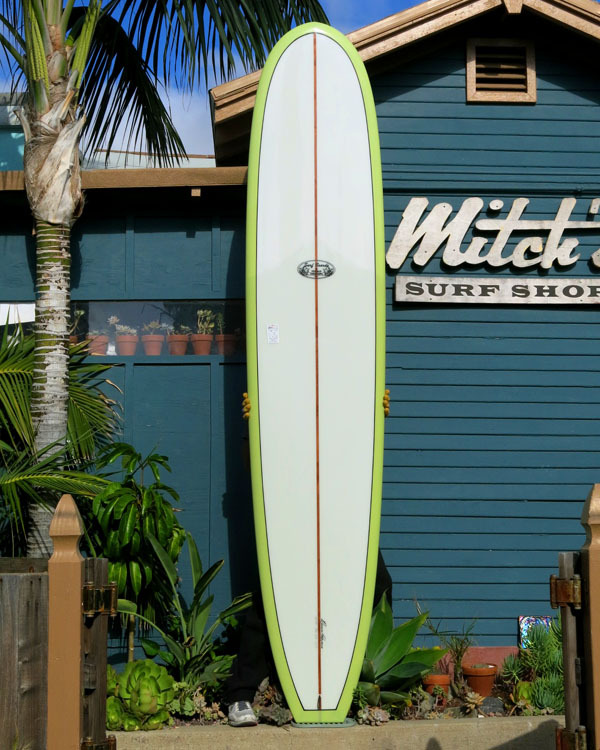 Concave nose with a forward-swept Volan 3/4 deck and wedge fin patches. Single 3/8" Redwood stringer. Single fin box with Takayama fin included. Length: 9' 6" Width: 23" Thick: 2 7/8"
Nose: 19 1/4" Tail: 15 3/8"